Hanalani seeks to educate students who will benefit from our commitment to academic excellence and Christian values. Learn more about our admissions process and get in touch with our excellent team to see how you can join the Hanalani ohana! 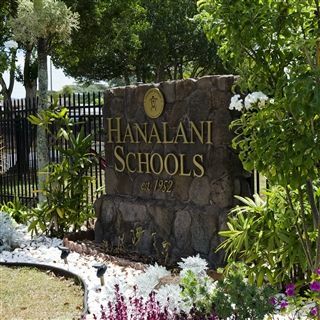 For 65 years, Hanalani Schools has nurtured, challenged, and prepared students for success in college and in life. 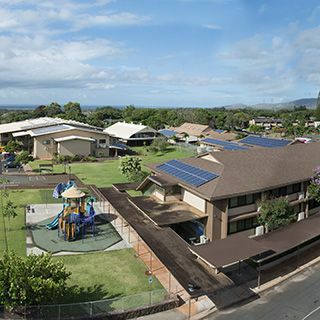 A private Christian school located on six beautiful acres in Mililani Town, the school focuses on enriching the whole child—mentally, physically, and spiritually—by offering high-quality programs grounded in STEAM (Science, Technology, Engineering, Arts, Math), critical skills, and Christian character. 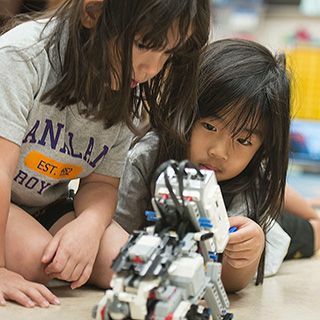 Here at Hanalani, we seek to educate and enrich students from preschool to twelth grade with strong programs grounded in STEAM (STEM + Arts). 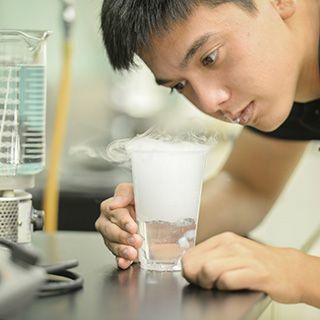 Learn more about our divisions, programs, and STEAM approach! Hanalani believes that team sports and competition can enrich a student's academic career. Lower and Upper School interscholastic sports programs provide eligible students with opportunities to develop in leadership, sportsmanship, and Christian character. Learn about our community happenings, both on- and off-campus! Looking for a form? You're at the right place. Still don't see what you're looking for? Please call your divisional office for assistance. Q. 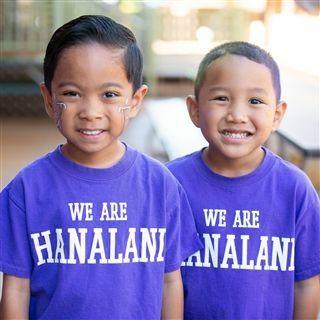 How many students attend Hanalani Schools? A. We currently have 730+ students enrolled. Q. What religion is the school affiliated with? A. We are Protestant non-denominational, and we teach from the NKJV Bible. Q. How do the teachers communicate with the parents? A. Primarily through email and web accounts (MySchoolApp). Teachers also have direct telephone extensions. Q. What are your school hours? * Before-School Care begins at 6:15am, and After-School Care ends at 5:30pm. Q. Do you offer transportation? A. Yes! We currently offer transportation routes to Ewa Beach, Kapolei, Launani Valley, Makakilo, Mililani, Nanakuli, Pearl City, Royal Kunia, Schofiled Barracks, Village Park, Waianae, Waipahu, Waipio, and Waikele. Transportation is available for all enrolled students at an additional cost; however, if a K3 or K4 student wants to ride the bus, they must have a riding companion in grades 3-12. For more information or to register for transportation, please refer to our Transportation Selection Form (ENR-14).